Staybridge Suites offers spacious suites with all the amenities of home. Centrally located near the Vancouver Mall, the spacious suites include fully furnished kitchenettes, pillow top mattresses and sleeper sofas. Room rates include daily buffet breakfast and buffet dinner Monday through Wednesday evenings with complimentary wine and beer and even free laundry facilities on site. Guests enjoy free WIFI, 100+ cable TV channels and an on-site fitness center. Staybridge is the recipient of the prestigious IHG 2016 Torchbearer Award. Pet friendly too. 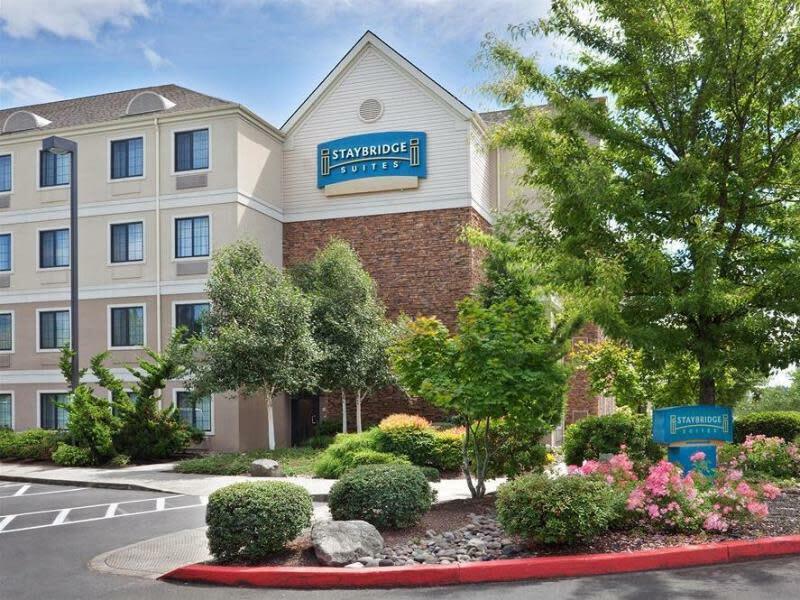 Let Staybridge be your home away from home!